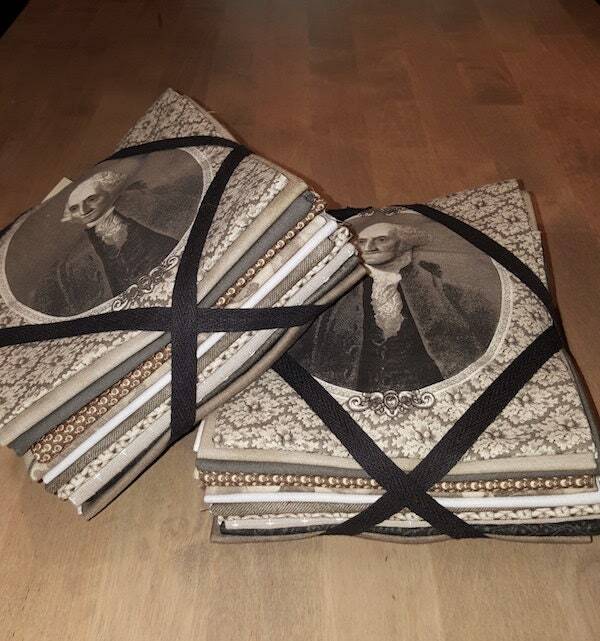 Half Yard Bundle with 11 pre-cut fabric pieces called "George Washington in Taupes". This bundle of complimentary colors would be great for a project to commemorate the Country's forefather George Washington.. or for that unique craft project you're waiting to start or finish. Fabrics are 100% cotton. 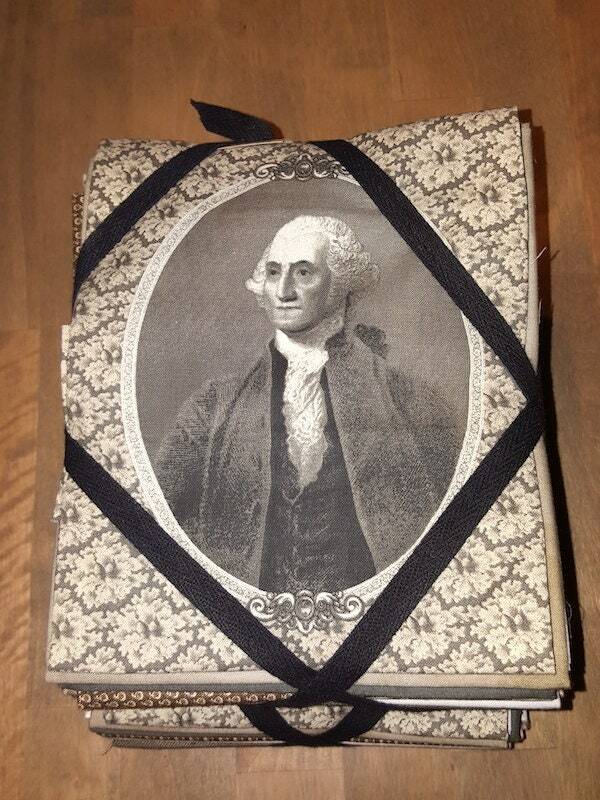 Includes one design of George Washington images, and prints in taupes.